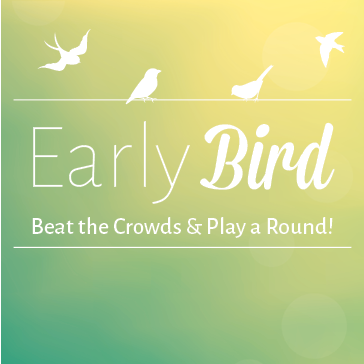 Early Bird - Beat the Crowds and Play a Round! Call for tee times. Dew Sweeper specials do not apply to outings or Footgolf. This deal is for a limited time only and not valid on weekends.